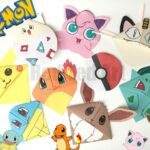 My kids and I have really been enjoying making Pokemon DIYs recently and we rather love our DIY Paper Toys too. 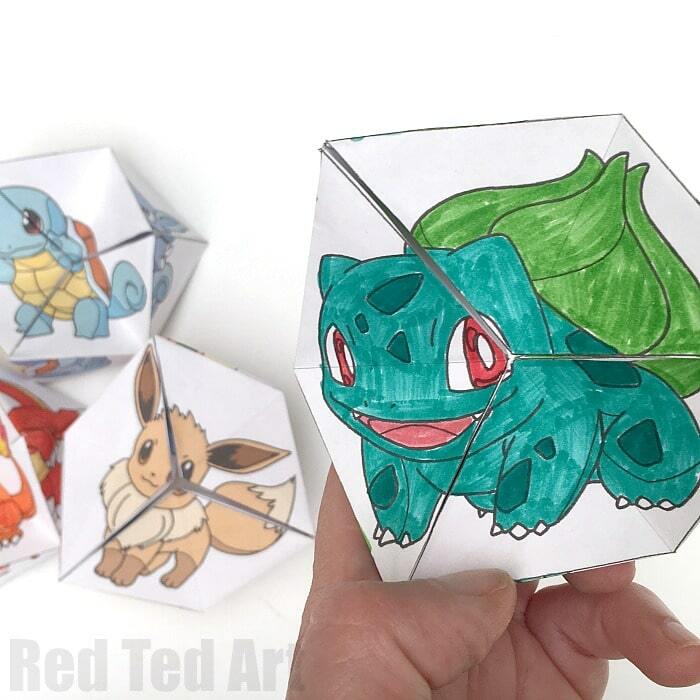 Bring the two together and you get these fantastic never ending Pokemon Evolution DIY kaleidoscope or kaleidocycles – basically, watch your favourite characters, Bulbasaur, Eevee, Charmander and Squirtle, as they evolve…..
Whilst I have your attention.. don’t forget to check out our Pokemon Bookmark Corner Set – 9 favourite characters for you to make! 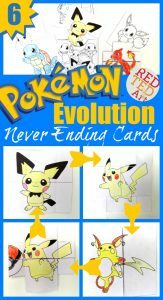 We also have some AMAZING Pokemon Evolution cards – 6 different Pokemon Characters to choose from, one cuter than the next. 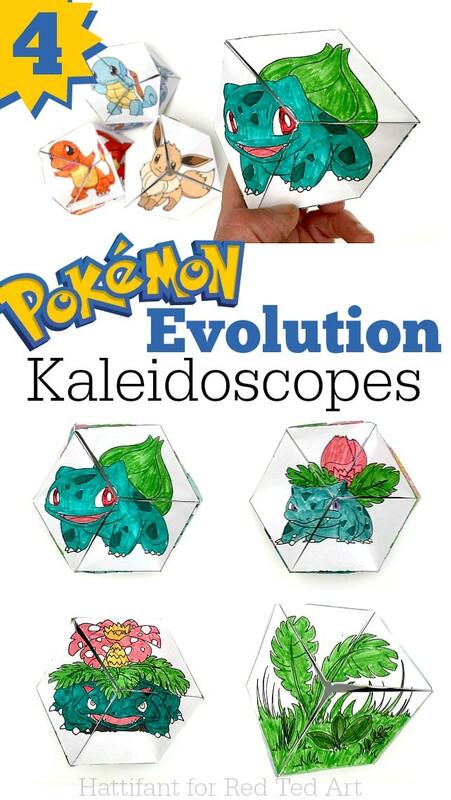 And if you think the transformation in the kaleidoscopes is amazing, you will adore these Pokemon Cards too! pens if you are colouring! 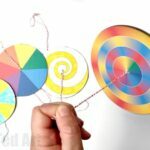 This is how to assemble your Kaleidocycle. 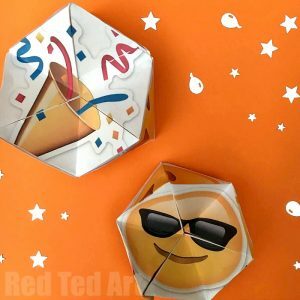 Remember, the most important thing, is to make good creases and to wait for your glue to dry! And don’t forget to subscribe to our YouTube channel (all free!). What do you think? Aren’t they simply fabulous? I love both the Pokemon Coloring Pages version, and the “ready made” version if you have a little less time. Enjoy!! 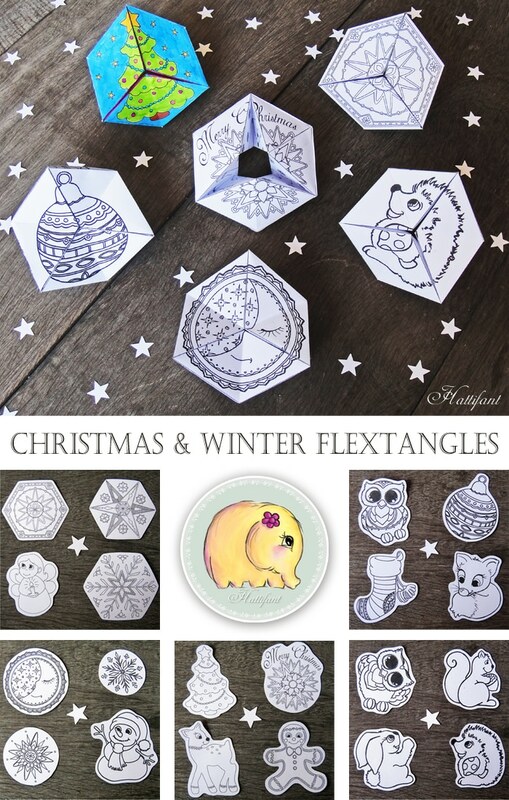 Check out our WINTER Kaleidocycle set – you will find some adorable designs for both Christmas, Autumn and Winter in general! Thank you, my kids are going to love these! 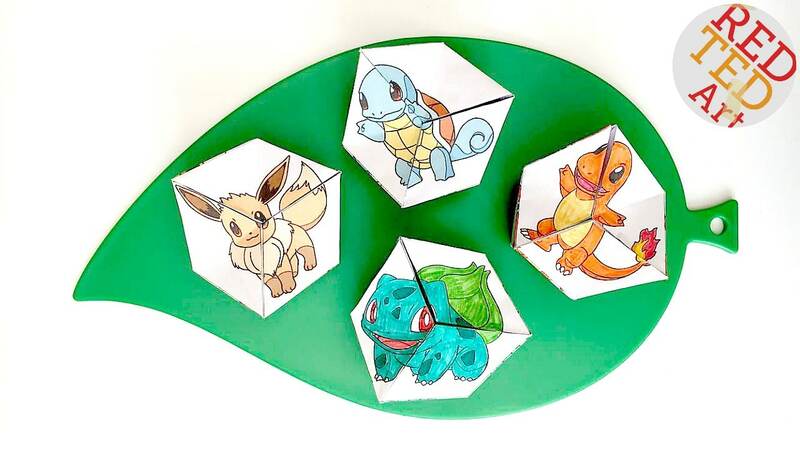 Just like Pokemon, they are going to want to catch them all! 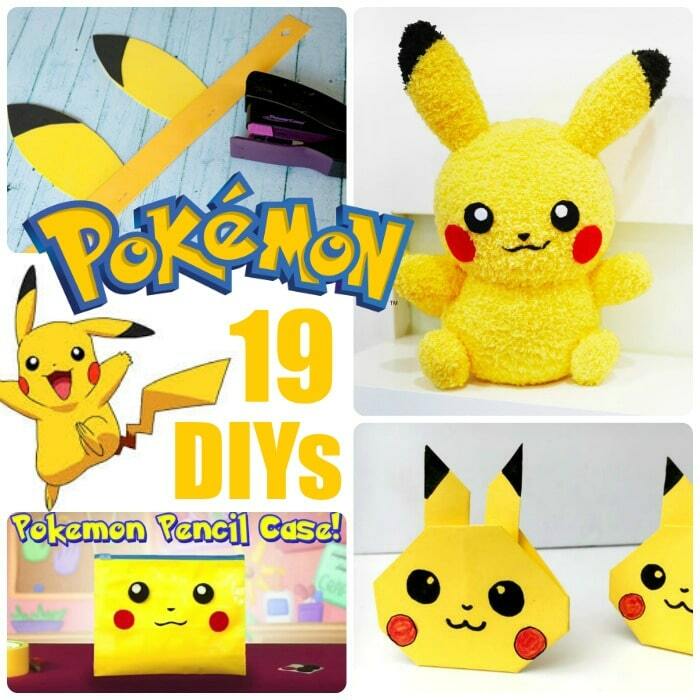 I have a feeling I will be trying to figure out how to make a Pikachu and Oshawatt one, to name a few of the many they will probably ask for lol! I cant get the links to work for the download….??? would love to print off a few for the boys! Did the video not help? So sorry to hear that! I find that when you are new to this project you have to give it a few goes. Pause the video, take your time and work as neatly as possible! Do try again and good luck! I want one that is blank but i cant find one! There isn’t a blank one, sorry! I’m not sure if it’s just me, but it seems that hattifant’s website just isn’t working for me. Yes, sorry, her site was down yesterday (so many of you wanting Eevee and Squirtle!!!) try again today? It should be back up! The hattifant website is not working for me regardless of which device I get on… Would you be able to e-mail the squirtle and eevee pdf to me? I can’t download Evee and Squirtle, the link doesn’t work. Can you help me somehow? I woluld like to show these kaleidoscopes to my students at school. Hello, please contact Hattifant.com via her about/ contact page and she will be able to sort you out!! Sorry you are having problems! 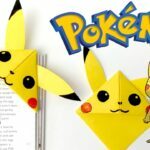 So my wife found this article and gave it to me to make with the kids. 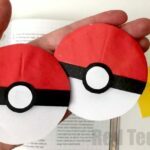 They love anything to do with Pokemon! This does look like it will be fun to do this weekend. Thanks! Enjoy! 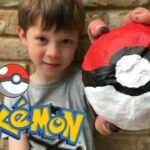 We have some more brilliant Pokemon printables coming next week! They do work, you have to enter you email in order for their site to send it to you. They ARE free. Promise. You should be able to. You need to go to her link at gumroad and enter $0 and it works. Please email her if you are having problems! hello. will you please tell me how you did it? how you cut it to fit in the haxagon. i can’t make it? Hi, are you able to view the video? It shows you how to assemble it! can someone please sent the links to me if you find them? Thank you!!!!!!! Please email Hattifant via her website for them!! Hello, nice to meet you! I’m from Korea. 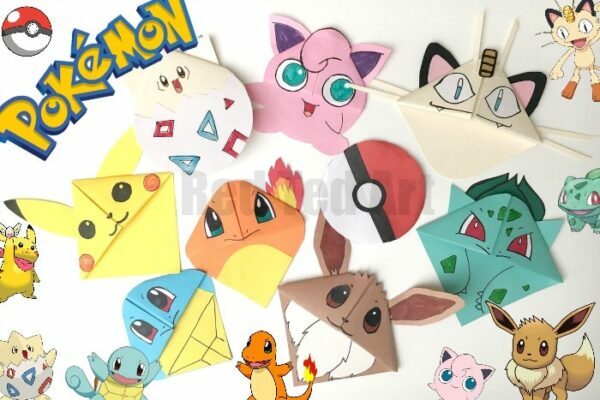 Besides, I want to make this paper toys for my sister, but I guess there is an error. When I try to click the link, it didn’t work at all. What’s wrong with it? Is it only me? I am interested in printing these at Staples. 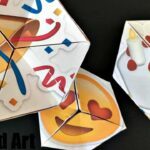 Do you know if these are copyrighted? Even for personal use, I have to have permission to print them at Staples because they are a business. Thanks for advice on this issue. Good question. From my point of view, you are welcome to go ahead and print! 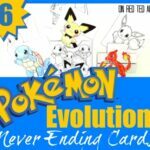 DOWNLOAD Eevee & Squirtle- The site is in error. I want to get an eveee. It should lead you to a site called Gumroad which Hattifants uses to host the printables. There you need to add $0 at checkout. Email Hattifant if you are having problems! 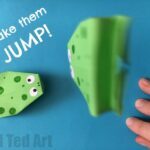 how do you print these out so they are not distorted? when we colour them and try to make them up the triangles are not equalateral so they don’t fit. Hello, I am not sure why they are coming out distorted. On my printer there is an option to “fit to page”.. maybe that would help? !